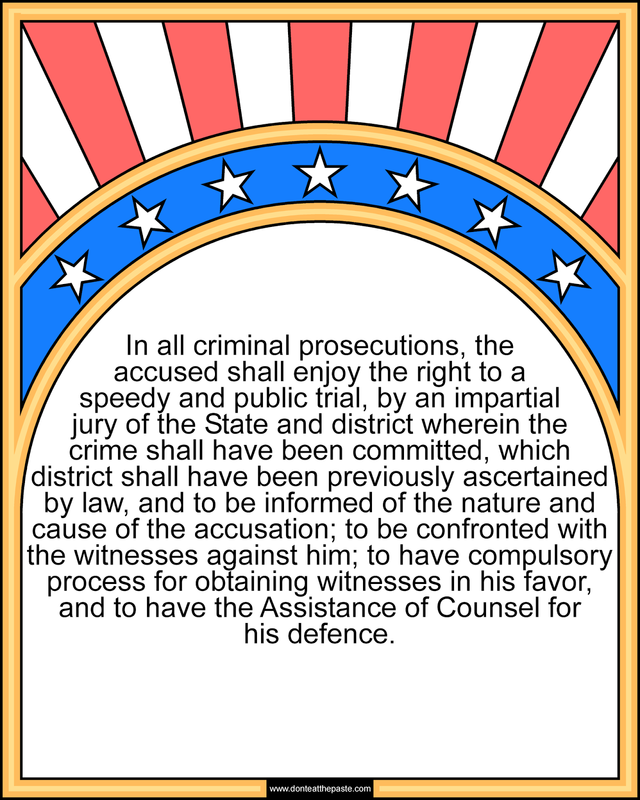 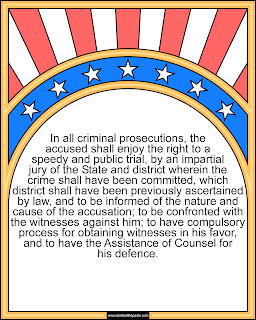 The 6th Amendment! 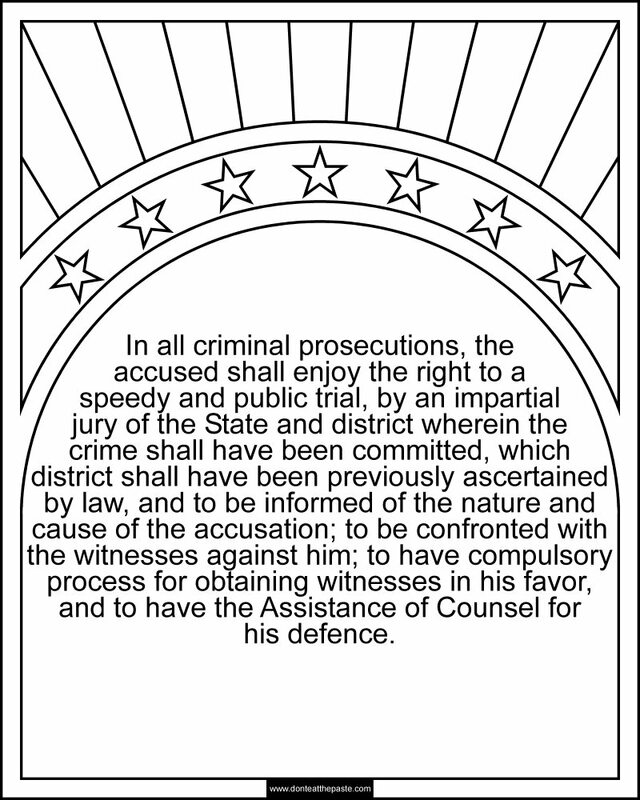 Over halfway done with the Bill of Rights series of coloring pages. 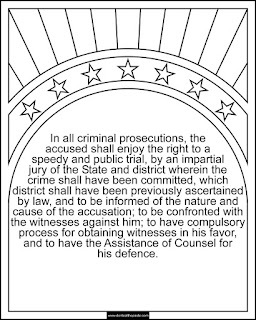 5th Amendment to print and color.